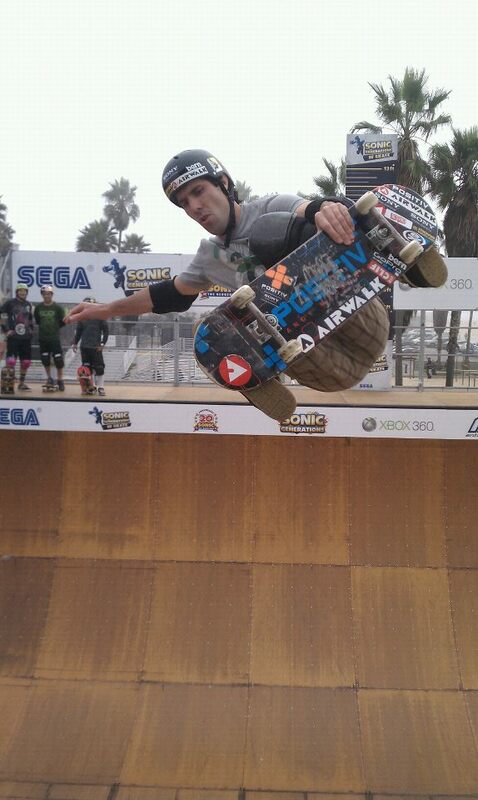 I Skate, Therefore I Am: Tony Hawk, Andy Macdonald and Mitchie Brusco land first at first Sonic Generations of Skate. Tony Hawk, Andy Macdonald and Mitchie Brusco land first at first Sonic Generations of Skate. It was a battle between the members of the “900” team that unraveled yesterday at Venice beach: not only most participants at the Sonic Generation of skate have landed the elusive 900 in the past but a 900 was landed by Sandro Dias during the event. The contest featured the world’s best vert skaters from three generations teaming up for a series of competitions at Venice Beach. The team consisting of Tony Hawk, Andy Macdonald and Mitchie Brusco took first place. Kevin Staab, Sandro Dias and Paul-Luc Ronchetti were second, Steve Caballero, Pierre Luc Gagnon and Elliot Sloan were third and Sergie Ventura, Lincoln Ueda and Adam Taylor were fourth in the contest sponsored by ASA Entertainment. Andy MacDonald during the first Generations of skate. Photo ASA. Sonic Generations of Skate was a completely unique team competition paying respect to the three generations of vert skaters of past few decades. 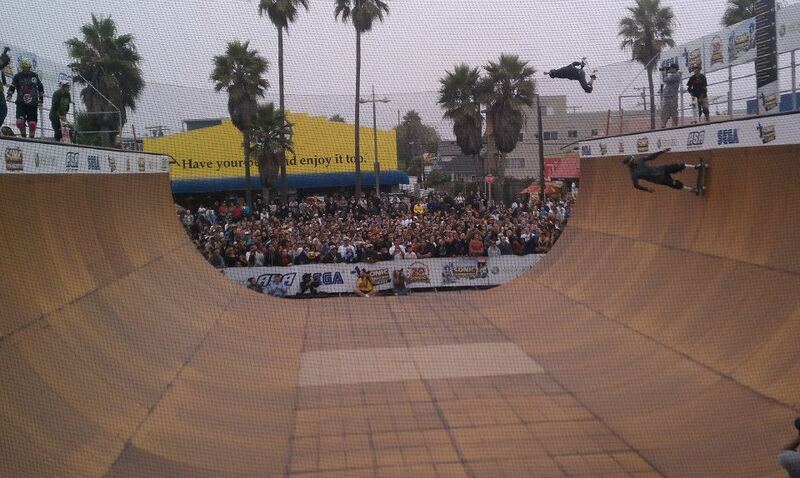 What was odd was that the contests did not take place at the Venice Skatepark but on a ramp installed on Muscle Beach. Then the composition of the teams verey very unique: each team consisted of one 40ish skater (first generation), one 30ish skater (second generation) and one 20ish skater (third generation) competing against other teams with the same mix. The contests included individual runs, high air, best trick and team doubles. The contest included four competitions (individual runs, high air, team triples and best trick) featuring teams that had skaters representing each generation. The skaters all expressed what an amazing event it was for skateboarding. “This was the most fun contest I’ve ever skated in my life,” said Mitchie Brusco. Tony Hawk later posted on his Facebook account: "Thanks to my Sonic Generations teammates @andymacdonald & @mitchiebrusco84 for the win today. Congrats to @diassandro on the clean 9 hunge!"